Problem . 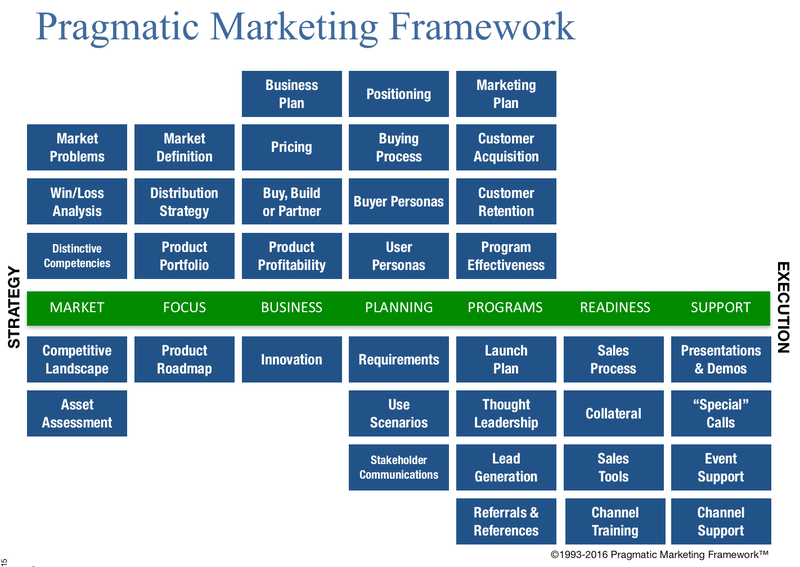 What is the pragmatic marketing framework ? . Action . Source: LINK The Pragmatic Marketing Framework provides a standard language for your entire product team and a blueprint of the key activities needed to bring profitable, problem-oriented products to market. Outcome . An understanding of the Pragmatic Marketing Framework. . . .